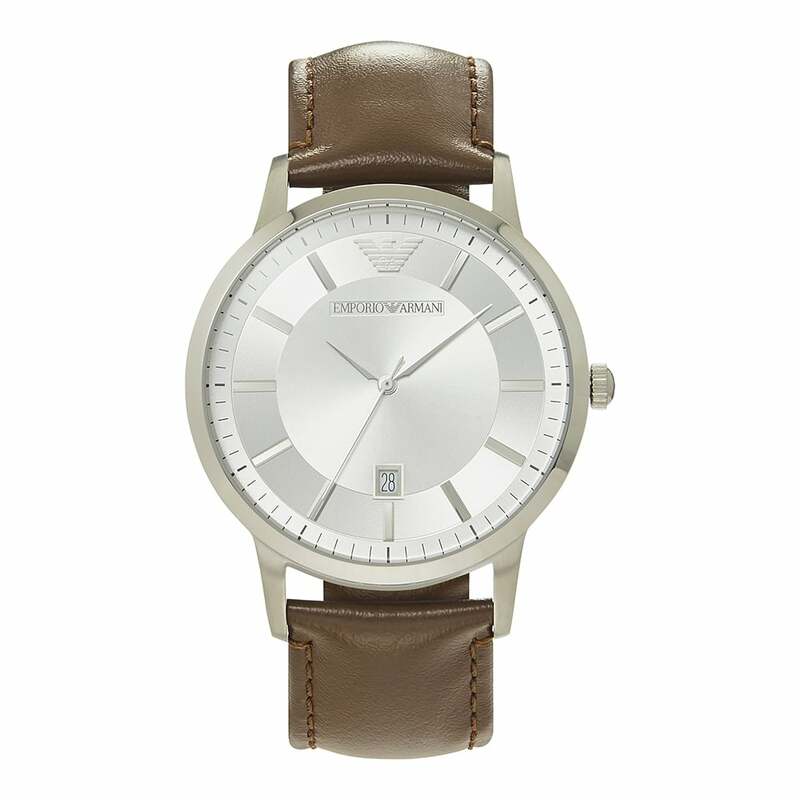 This Emporio Armani AR2463 Brown Leather & Silver Dial Men's Watch comes with a 2 Year Tic Watches warranty. Coming with a 46mm dial and a silver face, this watch finishes off your outfit perfectly. It's powered by a quartz movement and has a light brown strap.